Wellness care is the key to keeping your dog healthy. Annual wellness exams are the best way you can assure a longer, happier life for your dog. Your dog’s wellness exam at West Hills Animal Hospital & Emergency Center is an opportunity for you to discuss any concerns you have about your dog’s health with one of our veterinary professionals. We encourage discussions about nutrition, allergies, dental care (professional dental cleanings and at-home dental care), mobility issues, risk of infections, and any lifestyle or age related changes. Vaccinating your dog keeps your dog healthy by preventing potentially serious diseases. Dogs have different lifestyles and need to be given individual attention and consideration at vaccination time. 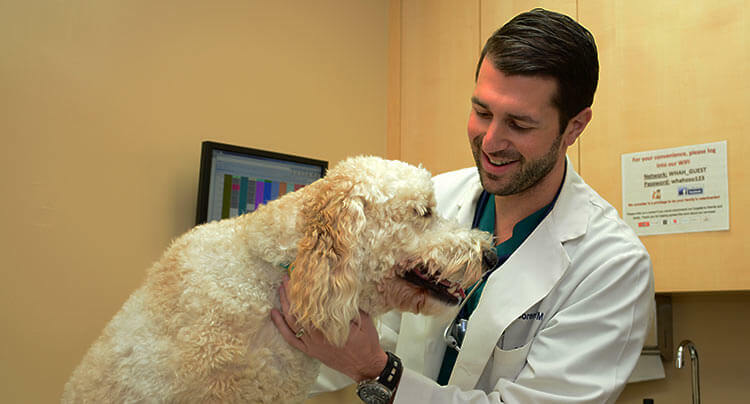 At West Hills Animal Hospital & Emergency Center, healthcare programs are tailored individually for each pet. Please call us today to schedule your dog’s wellness exam with us.